Il Poggiolo Tuscany offers spacious, family-friendly, allergy-sensitive, pet-free and smoke-free accommodations. Located in the heart of Valdarno – the area that inspired Leonardo da Vinci for the landscape backgrounds of many paintings – il Poggiolo is perfectly located for relaxing holidays, tourism, nature walks, wine and gastronomy. Come for your honeymoon, for a special vacation or an anniversary celebration, to paint or write, or to finish that book on sabbatical. Taken together, the two spacious accommodations cater to family reunions and groups of friends. 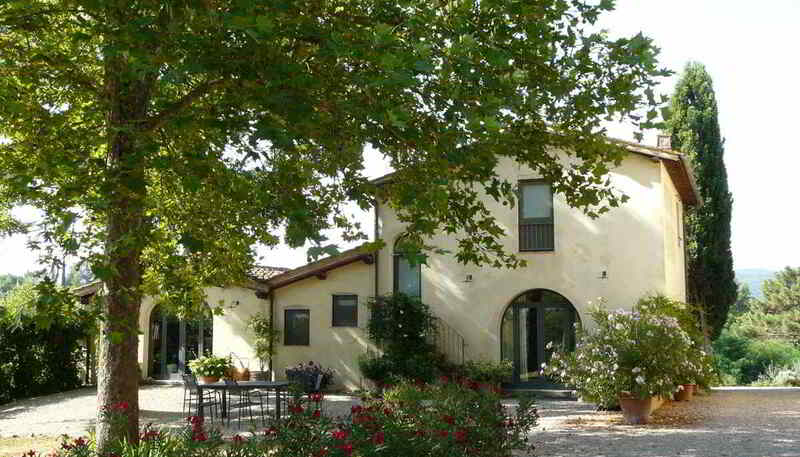 Welcome to our hilltop home in Tuscany! This spacious apartment was originally the “Padronale” section of a traditional Tuscan villa (18th century). 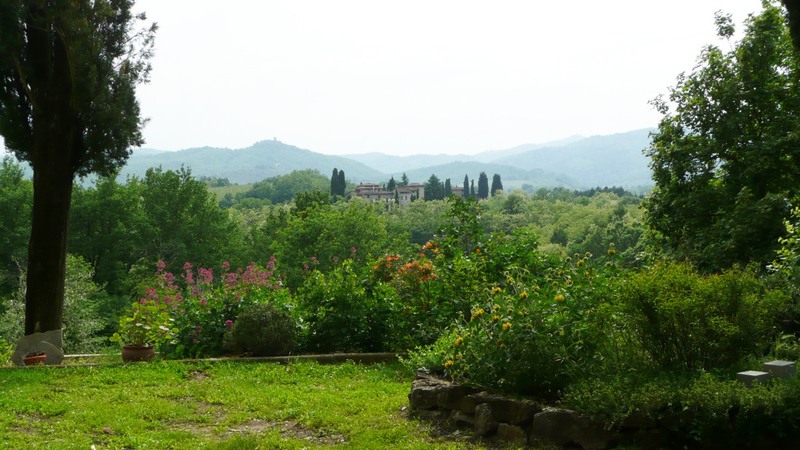 Features large private garden, panoramic views and spectacular sunsets over the Valdarno. This independent cottage was once an historic barn (now completely renovated). 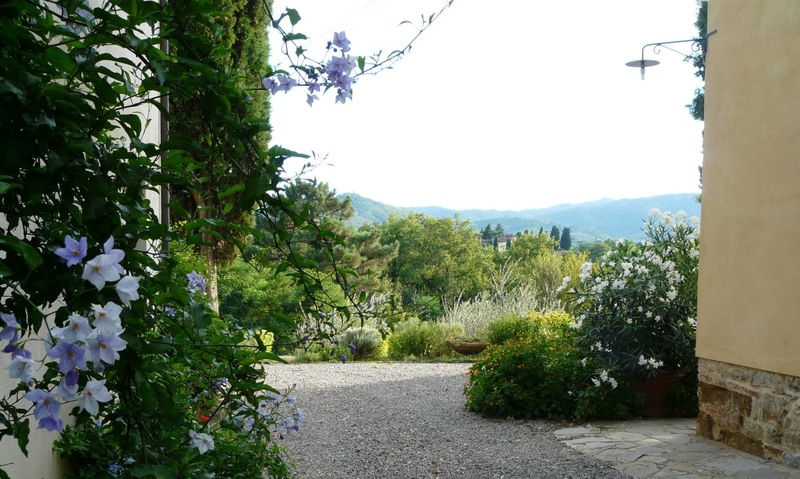 It features its own private garden and patio, with unforgettable vistas over the Tuscan hills. 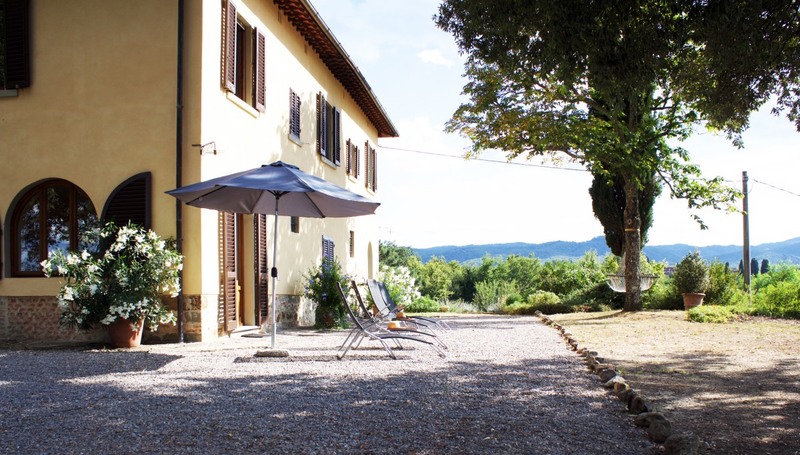 Il Poggiolo Tuscany is in the Valdarno – the valley of the Arno river – just a short distance from the major sites of Tuscany: Florence, Arezzo, Siena and many others. Wine, food, art and history are the main attractions of this scenic part of Tuscany. We wish our guests to experience a home-away-from-home, with all the amenities that make life easy when traveling. This is why each lodging is fully equipped with more than you will usually find in rental accommodations. We are pleased to provide an allergy-sensitive environment for guests. While each person’s allergies are very specific, we have tried to eliminate the most common allergy triggers from both interior and exterior environments.